How to make a Cardboard Castle! Join us at DIY Cozy Cottage on Facebook to get all of our new sweet n saavy projects Is this an awesome castle or what! Just imagine, you can even design your own castle too. You might even make a doll house with these instructions, why not? If you can make a castle out of cardboard, I guess there’s a few other things you can make too, like a boat, a plane, or a car! The point is to get creative with your kids, and interact with them in a fun way. We all learn something when were having fun, and that’s the best lesson of all. We have the opportunity to help our kids to learn how to have fun! 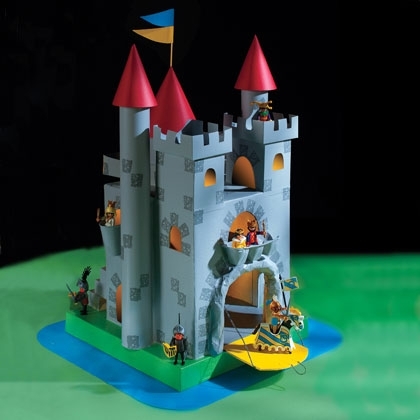 This entry was posted in gifts & crafts and tagged Architecture, Arts, Building Types, cardboard castle, Castle, Cozy Cottage, crafts for kids, Do it yourself, Facebook, Fortifications on November 20, 2013 by reidenhol2013.